Fluent in English and conversational Chinese, Dr. Jia treats a variety of conditions including diabetes, hypertension, and acute care. His clinical interests include sports medicine injuries, joint aches and pains, and athlete care. Dr. Jia believes in creating a partnership with his patients so they can understand their treatment plan and he can work with them the best possible outcome. He takes the time to listen to his patients and wants each individual to see how much he cares for them. 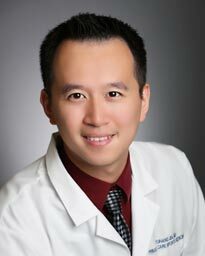 In his spare time, Dr. Jia enjoys running, playing basketball, and going to the movies. To provide additional medical care in the community, family medicine and sports medicine physician Tony Jia recently joined Memorial Hermann Medical Group Kingwood Town Center.